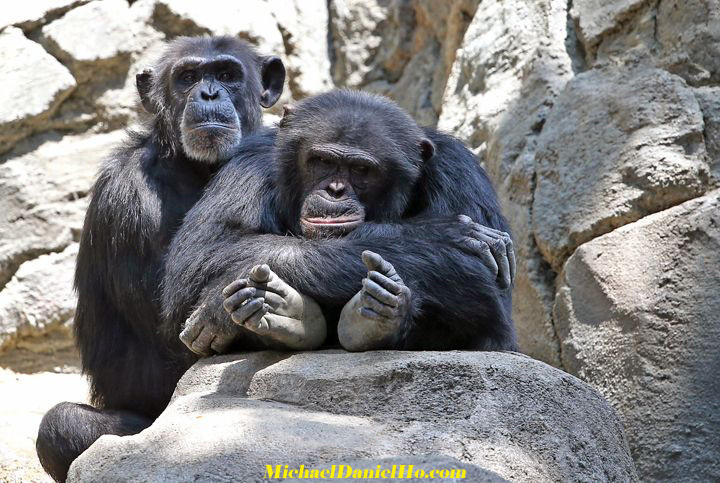 Michael Daniel Ho - The Wildlife Ho-tographer: The World's Sharpest Super Telephoto Zoom Lens? Subsequent to this article written in 2013, I have taken this lens on worldwide photo shoots and it keeps on impressing me every time I use it. 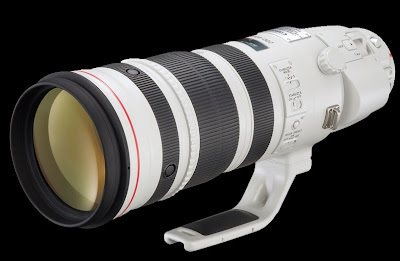 Visit MichaelDanielHo.com to see the latest wildlife images taken with this amazing piece of glass. I have taken delivery of the Canon EF 200-400mm f/4L IS USM Extender 1.4x lens and went out for some test shots. The lens is, in one word, Impressive! I dropped in on the zoo over the weekend. It was hot and after lugging the lens and tripod around for a whole day, I was tired and sweaty. 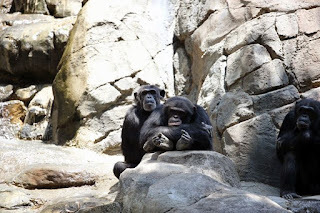 On my way out, I came across the Chimpanzee exhibit. From a distance, these two really bored Chimps caught my eye because they looked like they were in worse shape than me. I took the camera off the tripod and fired off a few shots. The above photos were taken with the EF 200-400mm and the EOS-1D X camera. 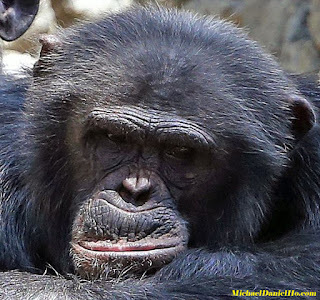 The Chimp shot was taken handheld from about 100 feet away, @ f/4, 400mm, IS Mode 1, AI Servo. 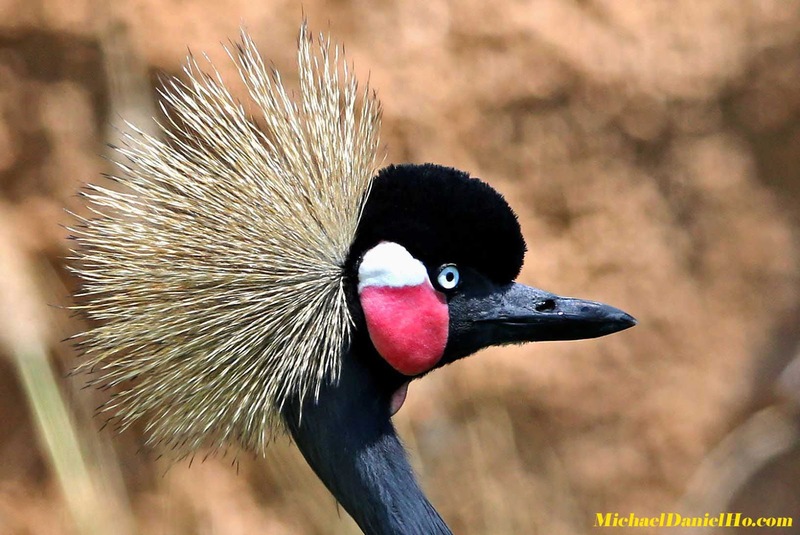 The Victoria Crowned Crane was also taken handheld from about 40 feet with the built-in 1.4x extender switched on, @ f/5.6 400mm, IS Mode 1, AI Servo. The image quality of the 100% crop photos are especially impressive. Can you imagine if I had use the tripod? You can read my reviews of the lens and camera on my website. Keep checking back for more photos and reviews as I return from my wildlife photo shoots. The 100% crop photos are amazingly sharp, especially handholding such a heavy combo. Love to see your photos after you have taken the lens to Svalbard for the Polar bear shoot. I was also pleasantly surprised by the handheld, Bird-in-flight shots as well. Since the camera/lens combo weighs 11 pounds and I am of average height and build. Although I would not recommend holding it longer than a few minutes at a time. It is quite tiring over the course of a long day. It will not be easy to use this combo in a bouncy zodiac in Svalbard, but I will also have my Canon EF 400mm f/4 DO IS lens as well.